On December 20th, 2013, Texas Alliance for Life released their pro-life endorsement of Barry Smitherman for Texas Attorney General. This endorsement means that Barry Smitherman is the only candidate in the Texas Attorney General race to be endorsed by BOTH Texas Right to Life and Texas Alliance for Life. I previously wrote an article about Barry Smitherman being endorsed by Texas Right to Life. You can read that article here. Austin, TX — Texas Alliance for Life PAC strongly endorses Barry Smitherman for Texas Attorney General. We are confident that Smitherman is the best candidate to lead the Office of Attorney General, which is critically important to defending Texas’ pro-life laws from attacks in the courts. 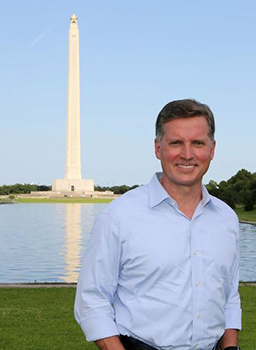 For years, Smitherman has actively supported the pro-life movement as an individual, showing that protecting the right to life is a among his core convictions.Barry is a fourth generation Texan who grew up in a working class neighborhood on the east side of Houston. It is there that his parents taught him the value of hard work and a strong Christian faith. He worked his way through college and law school and earned degrees from Texas A&M University, The University of Texas School of Law, and Harvard. Barry Smitherman won statewide election to the Railroad Commission of Texas in November 2012 with 74% of the vote. He was previously appointed by Governor Rick Perry to the Commission in July 2011.“I am honored and grateful for the endorsement of the Texas Alliance for Life PAC,” said Smitherman. “I’m proud to stand with these Pro-Life champions from all across Texas and appreciate their confidence in me to vigorously defend our strong Pro-Life laws. As the only proven prosecutor and experienced litigator in this race, Texans can have confidence in me that our strong Pro-Life laws will be upheld,” concluded Smitherman.